You could come across a situation when even after being connected to high-speed internet, your safari browser is runs slow as a snail? It can get extremely frustrating at such times. So to keep you from pulling your hair out, here is something which can fix this problem. Do you know whenever you click on a news or a link in an email or message it opens a new tab on the safari browser this is how it opens number of tabs on your safari browser? These tabs run in background and thus you experience slow speed when you try to open a new tab on the browser. To fix this you can close all the open tabs on safari browser in just some simple steps. All you need to do is to long press on the tabs button given at the bottom right corner it will give you an option to close all the open tabs in just one tap. Cookies and cache data are those data which is saved on your device because you have opened some website and it has saved some data on your device to give you the better user experience when you will next time visit the website. To clear history and cookies go to Settings and tap on Safari> Clear History and Website Data. While doing this you need not to be worried about your bookmarks and Auto Fill information they will remain safe and Safari will still remember your Autofill information. Sometimes only safari itself is not responsible for responding slow. It can be because of the application running in the background. These applications using your internet connection continuously in the background and this is the reason you cannot get enough bandwidth while using safari. You should also check if the automatic update is enabled for your Music, books and apps because it also consumes data. To disable auto update or auto downloads go to Settings > iTunes & App Stores now turn off automatic downloads for all the components listed. To stop applications consuming data in the background go to Settings > General > Background App Refresh Turn Background App Refresh Off. If you want to keep background data enabled for some of the applications then you have to manually disable background data for the apps you do not want to consume data in the background. If Nothing works then the last resort is resetting network settings. Before that you should remember that it will clear your saved Wi-fi passwords. To reset Network settings, Go to Settings > General Scroll down and go to Reset Network Settings. Now reconnect to internet and try reloading the page on Safari. 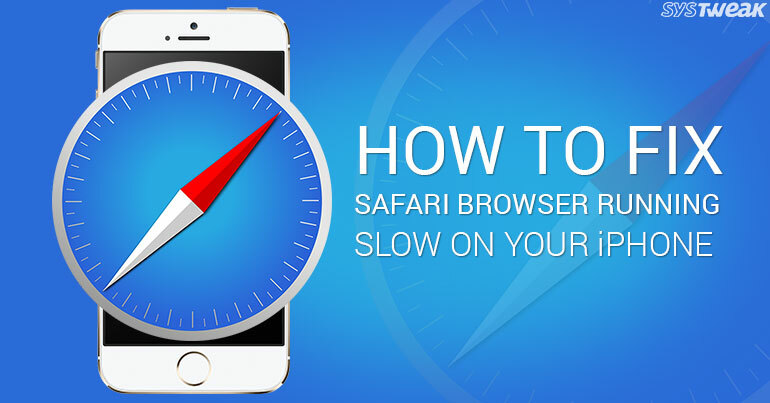 This is how you can enhance performance of your Safari browser on your iPhone. These tips will help to enhance performance of your device and to save your valuable time.